Two masked men stormed into a toll station of an expressway in Dong Nai, the neighboring province of Ho Chi Minh City, on Thursday morning before fleeing with a huge sum of money, the operator of the highway confirmed. The allegedly armed suspects used what’s believed to be a stun baton and a gun to force the only attendant at the Dau Giay toll booth to give them money. The toll gate is located on the Ho Chi Minh City - Long Thanh - Dau Giay Expressway, connecting the southern metropolis with its neighboring province of Dong Nai. 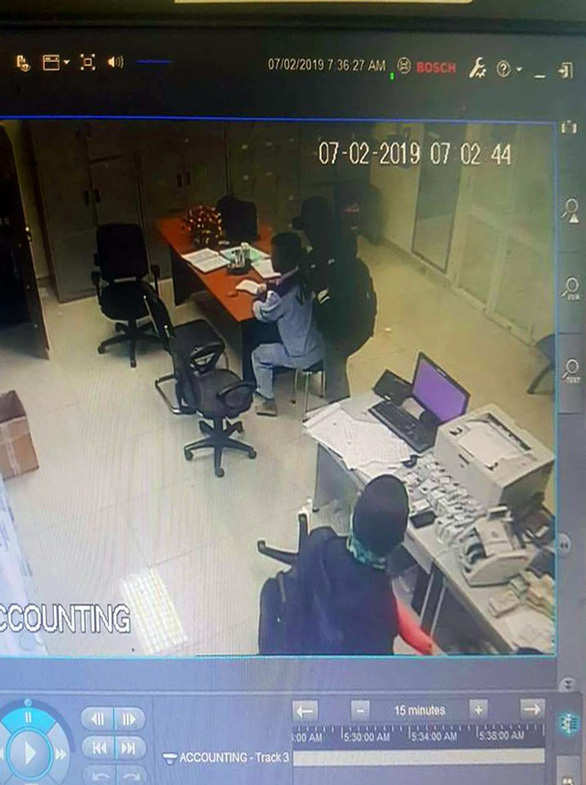 The robbery happened at around 7:00 am on the third day of the new lunar year, the last out of the three main days of celebrations of Tet, or the Lunar New Year, in Vietnam. Footage from CCTV cameras at the station shows two men wearing sports shoes, wool hats and black jackets outside white T-shirts threatening the toll booth attendant with their weapons to get the money. One of the weapos appears to be a stun baton, and the other a gun. The employee was apparently rendered unconscious after he was attacked with the alleged stun baton. 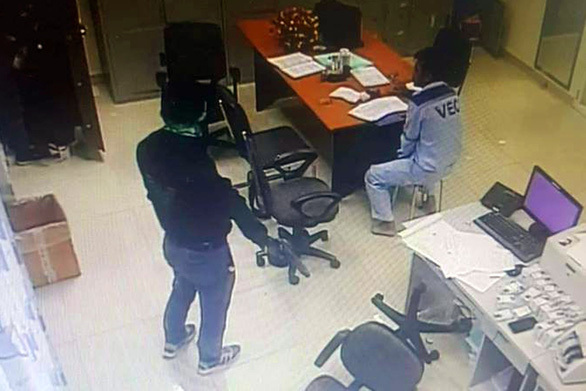 Nguyen Thi Hoai Phuong, deputy director of VECE, the operator of the Ho Chi Minh City - Long Thanh - Dau Giay Expressway, confirmed the robbery to Tuoi Tre (Youth) newspaper later on Thursday morning. Phuong said the toll station attendant was only slightly injured, but the suspects had fled with “a huge sum of money.” She did not elaborate on the exact amount of cash stolen. VECE is cooperating with the police and will soon release official information to the media, she added. A source cloe to Tuoi Tre said the incident happened at the time employees at the toll booth were changing shifts, which means the safe containing collected tolls had to be opened. Nguyen Van Quang, chairman of Thong Nhat District, where the toll gate is located, confirmed the robbery, adding that local police have mobilized all forces to hunt for the suspects.